Since its foundation in 1952, the Kranichstein Music Prize (Kranichsteiner Musikpreis) has been closely linked to the Darmstadt Summer Course. It has been awarded 36 times to a total of 179 laureates so far. For many of them the renowned prize has been an important milestone at the beginning of their career as musician, ensemble or composer. The total endowment sum of the Kranichstein Music Prize in 2018 will be 6,000 EUR, consisting of 3,000 EUR for the interpretation prize (ensemble or soloist) and 3,000 EUR for composition. 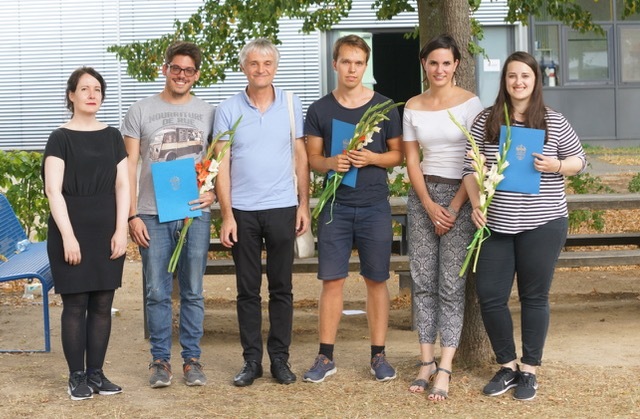 These two awards are complemented by a number of scholarships for the participation in the following Darmstadt Summer Course. Composition: Originality, coherence, willingness to take risks, choice of means in order to archieve the artistic goal, clearness in thought and expression, collaboration with other artists during the Summer Course, intelligence in notation and form as well as a profound knowledge of the used instruments and sound producers. Interpretation: Creativity, presence on stage, commitment, collaboration with other artists during the Summer Course, adherence to the text, efficent communication with the audience and (in ensembles) other musicians, clearness in the interpretative approach, sound quality, control over the instrument. Composers, ensembles/musicians who take part in the Darmstadt Summer Course can be taken into account for the prize. Compositions are considered when a live performance of the work takes place in an officially scheduled concert during the Summer Course. (This includes the performance of a tape / electronic piece to an audience in a concert or installation setting.) Interpreters (soloists and ensembles) are judged on live performance during the Summer Course. The Kranichstein Music Prize winners and the scholarship holders are chosen by an independent jury coming from different fields of New Music. In 2018 the jury will consist of composer Joanna Bailie, music journalist Theresa Beyer and oboe player Peter Veale. The Kranichstein Music Prize 2018 for interpretation goes to electric guitar player Carlo Siega (*1989 / IT). The prize for composition was divided by the jury into three: Sara Glojnarić (*1991 / HR), Martin Hirsti-Kvam (*1991 / NO) and Oliver Thurley (*1988 / GB).